Get Rid Of Timeshare: Ditch The Bloat! Are timeshare maintenance fees giving you the blues? If so, you need to get rid of timeshare. Our team of experts can help you figure out the best way out of your timeshare, helping you keep more money in your pocket. You did it. In a moment of vacation-induced weakness, you decided to purchase a timeshare. You thought of all the money you could save on hotel accommodations. You were wowed by the promises of more spacious rooms and extra amenities. You were probably also impressed by the graphs and charts showing you how much money you would save on luxury vacations. You might even sell your timeshare for a nice chunk of change when you stopped using it. So you took the plunge, said yes, and signed on the dotted line. If you are like many of our timeshare exit team customers, you ended up doing the timeshare mortgage route and are making payments on your timeshare every month. It seemed like such a good investment at the time. You never imagined you would want to get rid of timeshare, but here you are. Spending money every single month on something you don’t use. Maybe your work schedule changed and vacations are more difficult to take now. Maybe something changed with your finances, and you can’t comfortably afford your timeshare anymore. Maybe you have been the victim of a timeshare scam and can’t use your timeshare even if you want to. Whatever the reason, you need to get rid of timeshare because you are spending hundreds of dollars every month on something you don’t use. Once you add in the annual maintenance fees that keep increasing, you are spending close to, if not over, ten thousand a year on your timeshare. Think of what you could do with all that extra money every month or year. Whatever your personal or professional ambitions, the money you are spending on your timeshare could go a long way towards helping your dreams become a reality. It could also help you pick up a new hobby, learn something new, or actually travel and vacation. You would also free up some time and headspace to think about something other than ways to get rid of timeshare. If you are in this situation, it is very common. In fact, most timeshare owners end up wanting to ditch their timeshare. You may think the best option is to give the timeshare company a call. I want to highly discourage this. The timeshare company is not on your side. They are in business for themselves and their shareholders, not you. All they care about is making a profit. Instead, you need to call the timeshare cancellation experts on our timeshare exit team. We specialize in canceling timeshares, and we can help you get rid of yours. We offer complimentary contract reviews and outline our cost, so there are no surprises. 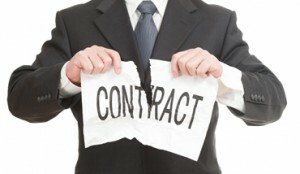 Once we take on your contract, we will get you out of your timeshare, guaranteed. We are confident in our services, and we put our money where our mouth is. If we can’t cancel your timeshare, we don’t get paid. We may also be able to help you recover money that you have already sent the timeshare company. That means that all those monthly payments you have sent in already may not be lost. We are here to help, and we are on your side today. 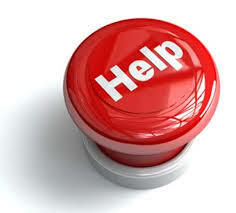 Call us now to discuss your timeshare and get rid of it, for good!